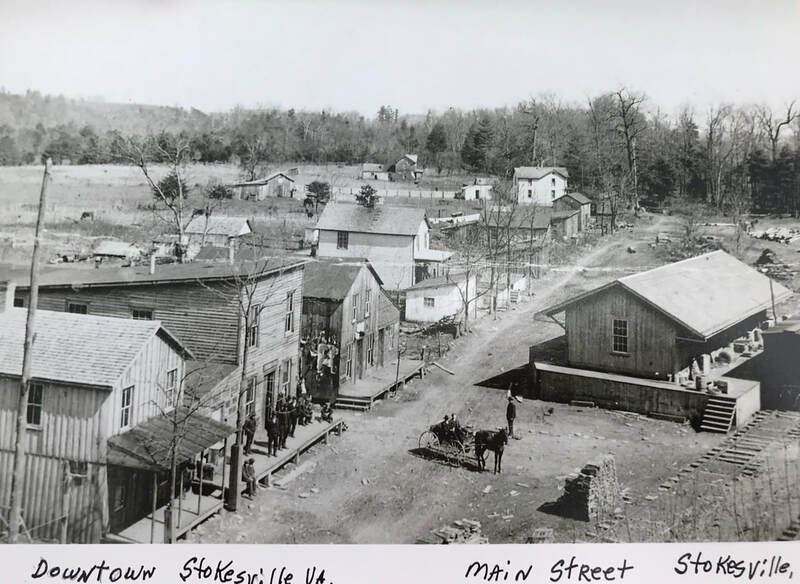 The houses on Main Street of Stokesville (east side of North River), shown here some years before the flood, were washed away or totally ruined. Today only the Maggie Michael house (top center) still remains. Photo from Gay Michael and Dorwon Emmett Collection. 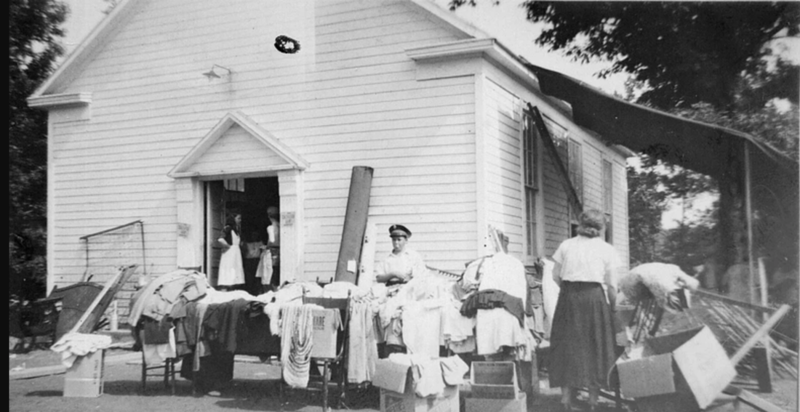 Stokesville Church, the only building left standing and in tact, became a relief station. Photo from Alan Cramer Collection. “The farms along the river between [Stokesville and Bridgewater] sufferered probably the cruelest damage of all. The river not only took crops and stock and buildings, but it took the soil. 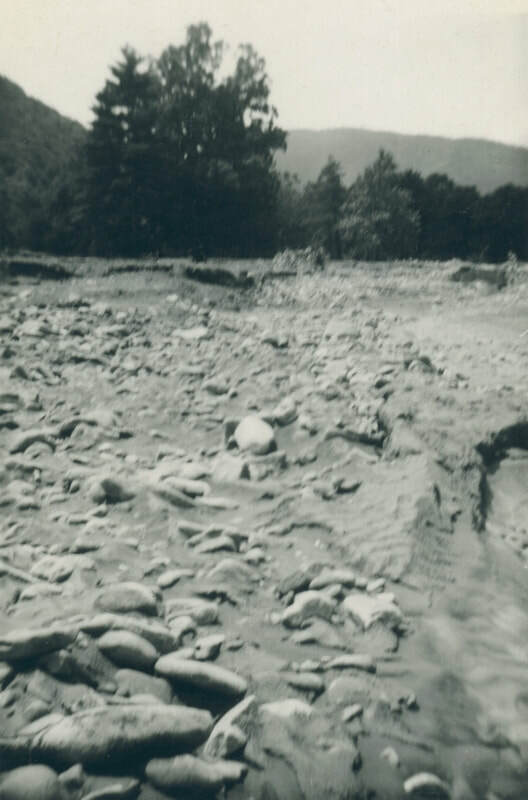 On farm after farm acres of topsoil were stripped away, and in many cases the river left tons of rocks where rich fields had been.” ("Flood's Victims" 24 July 1949) One farmer, Lester Wright, said, "I won't ever be able to raise crops here again." He lost his largest brooder house, 1500 chickens, and the soil from his fields. 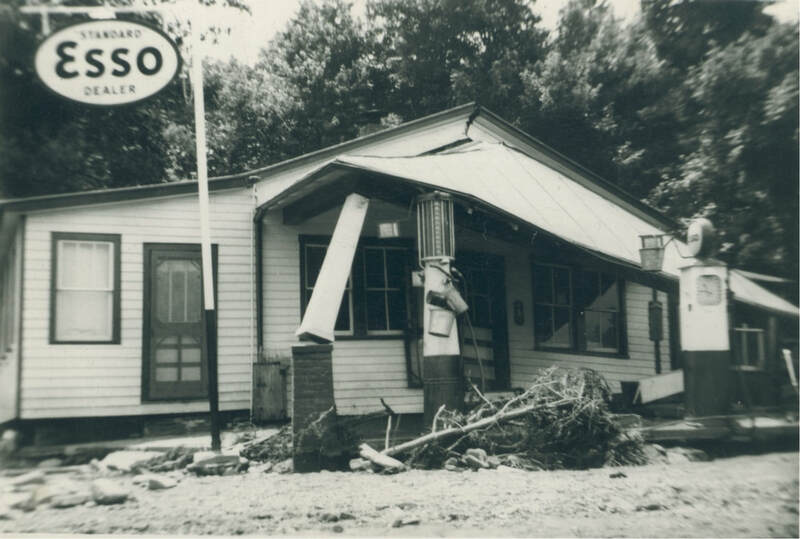 ("Spring Creek" 22 June 1949) The flashflood happened so fast and in the night that some famiies, like the Berlin Michael family and the Warren Evers family at Towers, had only time to climb to their second floors or rooftops to escape the raging torrent. Both families were later rescued. 1 bear and several deer found washed out of the mountains. The Jake Cramer house, just downstream from North River Gap on the west side of Stokesville, was a total loss. Photo courtesy of Alan Cramer Collection. Cramer, Alan. Personal interview. 2 March 2018. "Scenic Tour of Water Projects," Staunton News Leader, 10 October 1963. "Flood's Victims Ponder Problems of Moving and Rebuilding," Richmond Times-Dispatch, 24 July 1949. ​"Service of Thanksgiving Planned at Bridgewater," Staunton News Leader, 25 June 1949. "Sight-Seers See Flood Damage: Bridgewater Holds Thanksgiving Rites, Stokesville Visited," Daily News-Record, 27 June 1949. 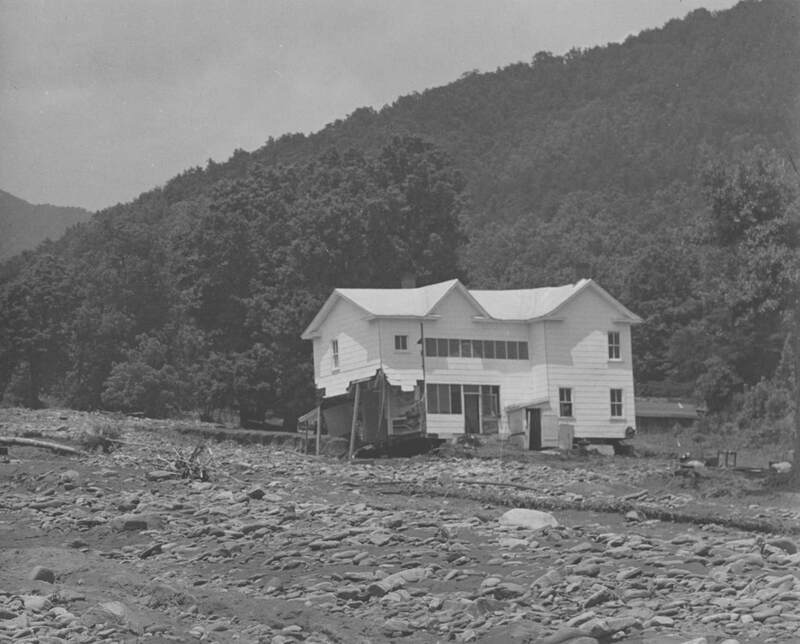 "Spring Creek Suffers Heavy Damage; Water Converge," Daily News Record, 22 June 1949. "Year Ago Today The Great Flood Swept This Area: Stokesville Still Barren Waste, But Bridgewater Recovers," Daily News Record, 17 June 1950.